I talk a lot about children’s astrology here on this blog. Recently I have received several emails asking about my family dynamics and my children so I thought I would share a little about that. At the same time respecting our Little Darling’s privacy. My husband and I have four children. They are nearly all grown up and have almost left home. This means I have more space to peruse my interests. Time is the one luxury that I never had when the youngest was born and they all needed my attention. I started studying and practicing astrology long before I had children. In fact my mother was an astrologer and she taught my sister and I lots as kids at the kitchen table. I knew the importance of the Sun in a chart and I wanted to select a child to be born with a Sun sign compatible with mine (Leo). We decided to go for a fire Sun sign and the one that came up first that year was Leo. I fell pregnant and she was due on August 6th that year and bang in the middle of Leo. But nature has a way of pulling off her joke and our daughter was born an amazing three weeks early when we welcomed in a beautiful little Cancerian Sun baby. As the first grandchild in the family she was heralded as perfect in every way. Our daughter’s birth story taught me much about taking life as it comes and accepting that things may not be as we might wish but that nature can make them better. Accepting the fact that I could not organize a particular sign for my child to be born under led me to let nature take its course. With the other children’s births, well they came in their own good time. So, as a mother and an astrologer to boot did I influence my children and raise them with the insights astrology? I would like to answer “Yes, I did” but the truth is the kids are so very much their own people living their lives through their charts. Where I felt I could have an influence is when rules had to be brought in and I became the voice of authority in the parental role. Each child required a different carrot and still does. Critical transits that affect children. 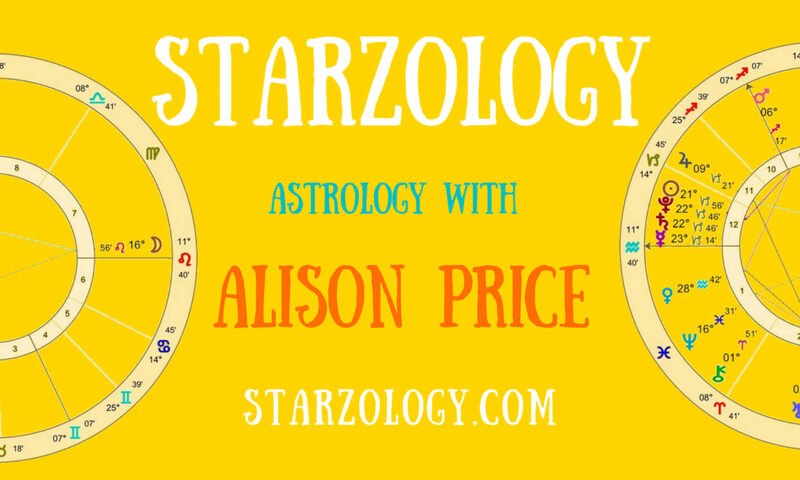 Children’s astrologer Alison Price – Video interview.